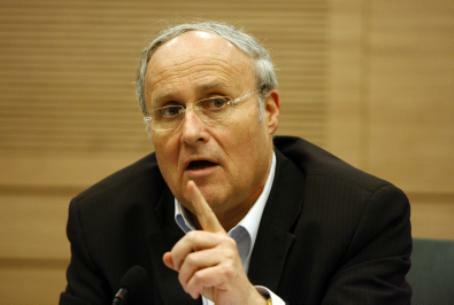 Member of Knesset Zvulun Orlev (Jewish Home) said late Thursday evening he is opposed to renewing the Tal Law. Orlev announced his opposition to the law during a visit to the "suckers tent" erected by IDF reservists in Tel Aviv to protest what they see as an unjust distribution of national service requirements in Israeli society. He also told the protesters that programs developed by religious Zionist communities could be used by Hareidim as model for bearing the burden of military service. "The Hesder programs are proof that Torah study and religious life cannot be an excuse to avoid service," said Orlev. The Hesder ["Arrangement"] programs combine advanced Talmudic studies with military service in the Israel Defense Forces, usually within a Religious Zionist framework. Hesder service usually lasts five years, within which participants are officially soldiers in the IDF. Through those five years, 16 months are dedicated to actual army service, comprising both training and active duty. In some Hesder Yeshivas service lasts six years of which 24 months are dedicated to actual army service. Almost all Hesder Yeshiva students serve in the army as combat soldiers, and because of the Hesder programs, religious Zionist soldiers serve in IDF combat units at a significantly higher per capita rate than other segments of the population. Last year it was reported that roughly half of the IDF junior officer corps were religious, most of them from religious Zionist homes. Orlev, who is religious and won a Medal of Valor during the 1973 Yom Kippur War, added Jewish Home would oppose renewing the Tal Law as a bloc. The Tal Law, named for observant Supreme Court Judge Tzvi Tal (ret.) who headed the committee that drafted the law, allows yeshiva students over the age of 22 to take a year off their studies in order to obtain professional training or work experience without being drafted. After that year, they must commit to abbreviated army service, a full year of national service, or return to full-time Torah studies. The law was passed by the Knesset in July 2002 and, in 2007, was extended by an additional five years. Until it became law, full time yeshiva students could not work at all without losing their exemption permanently. This resulted in some older students working clandestinely to support growing families so as to avoid a long period of service when already a parent and impoverishing many of those who remained in yeshiva full time. The Tal Law was drafted to encourage them to join the work force as well as fulfill army duty. However, critics of the push not to renew the Tal Law note the IDF does not have a sufficiently robust program in place to integrate large numbers of hareidi men at one time. Such a framework – like the Hesder programs suggested by Orlev, or brigades such as the Nachal Hareidi and religious vocational IDF programs such as Shachar Kachol – would have to be created before large numbers of hareidi men could successfully enter the IDF. Instead, they say the Tal Law should be extended for the present in order to slowly build such a framework for hareidi men to participate in. They also point to a growing trend of IDF service among hareidi men that signals a slow, but steady, shift towards engagement with Israel's defense and their own economic needs as proof such a course is feasible.